I love a good tag post, who doesn't? So when I saw that the lovely Danniella from Famous In Japan had created her own I knew I had to do it :)! It's such a fun tag to do as all us beauty bloggers are such enablers. Anna & Lily Pebbles definitely, especially when it comes to skincare. As well as a new favourite of mine Caroline Hirons. Makeup wise I also find myself on Adrienne from The Sunday Girls' blog, especially for new releases. I also find the #bbloggers community hugely influential, especially during chats! I think it varies really, if it's something expensive I'll definitely do my research on multiple blogs. If i'm out shopping and I see something in Boots or Superdrug that looks nice i'll probably buy it but if i'm planning on going shopping i'll research lots. 3. What is your most favourite item that you have ever bought as a consequence of blogs? Definitely my Naked 3 palette although I technically didn't buy it, it was a gift. I'd say it was probably the first big release since I started beauty blogging and I fell hook line and sinker for it. I am in love with it though, so it was definitely worth it. Probably the La Roche Posay Effaclar K. I'd seen wonderful reviews on this but unfortunately it did nothing for my skin. That'll teach me though, skin care is so individual. 5. 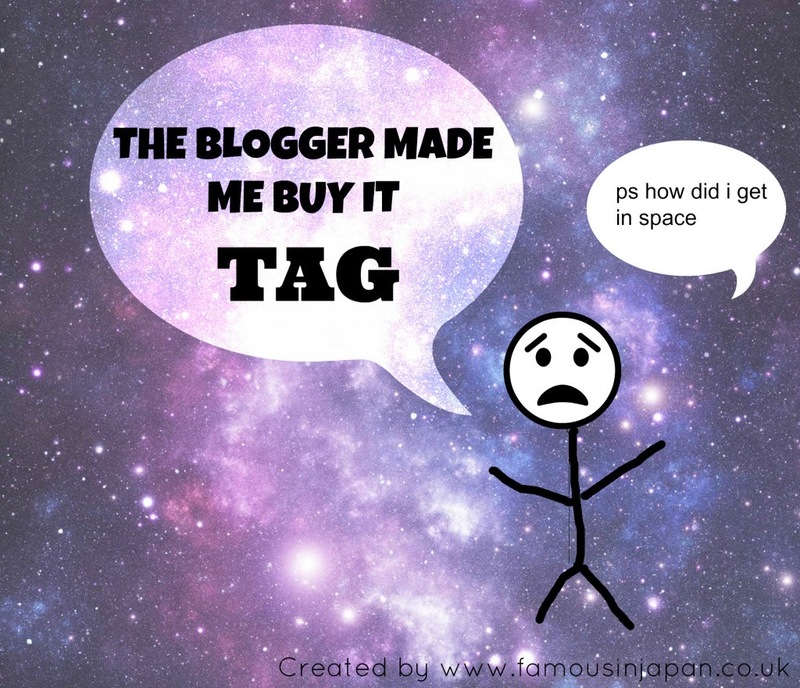 Name 5 products you have bought recently as a result of blogs. Urban Decay Naked 3 Palette, Ren 3 Clay Clarifying Cleanser, Ren Exfoliant Toner, Maybelline Baby Skin and Illamasqua Liquid Light Foundation. I'm forever giving in to the hype. Most recently the Maybelline Baby Skin Primer and the Urban Decay Naked 3 Palette. I also jumped on the Baby Lips band wagon but I totally regret that. Er, I actually don't think I have. I usually wait for the hype (and price) to calm down first though as I usually can't afford it!